The original shower slides remade with a genuine cork bandage. Originally designed by adidas in collaboration with the German national soccer team, the Adilette started out as a shower shoe for athletes. 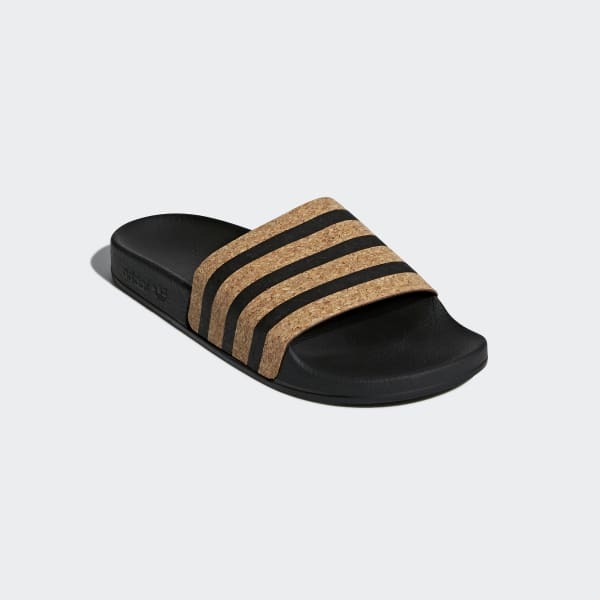 These women's slides get a fashionable new twist, a genuine cork bandage on a soft, molded PU foam midsole.